We are learning that most of the time the discussion about a math problem is more important than writing the correct numbers on a paper. 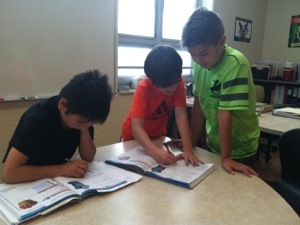 In this picture 3 fourth graders work together to solve a problem. Join us tonight at 6:30 in the Wapak Elementary cafeteria to talk about math with us.